The International Consortium of Investigative Journalists will publish a searchable database next month with information on more than 200,000 offshore entities that formed part of its Panama Papers investigation into widespread tax avoidance. In what was billed the largest cross-border journalism collaboration ever, the ICIJ and more than 100 media organisations in 78 countries worked to analyse leaked files from Panamanian law firm Mossack Fonseca, with initial findings released at the start of April. These put pressure on a number of politicians, public figures and businesses, with Iceland's Prime Minister stepping down over the affair and UK PM David Cameron heavily criticised for his handling of his family's involvement in offshore funds. In a statement on its website late Wednesday night, the ICIJ said it "will release on 9 May a searchable database with information on more than 200,000 offshore entities that are part of the Panama Papers investigation", adding that this was likely to be "the largest ever release of secret offshore companies and the people behind them". 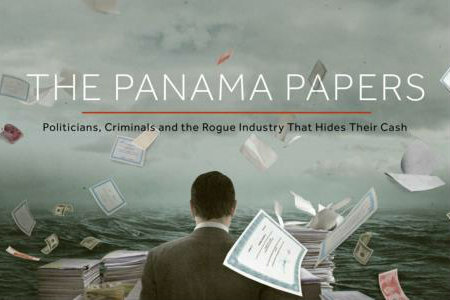 "The data comes from the Panamanian law firm Mossack Fonseca, one of the top players in the offshore world, and includes information about companies, trusts, foundations and funds incorporated in 21 tax havens, from Hong Kong to Nevada in the United States," the ICIJ continues. "It links to people in more than 200 countries and territories. When the data is released, users will be able to search through the data and visualise the networks around thousands of offshore entities, including, when possible, Mossack Fonseca’s internal records of the company’s true owners." ICIJ partner media outlets will continue to investigate and report on the leaks, the ICIJ said. The amount of coverage generated by the Panama Papers thus far has led to it being described as the biggest story since Edward Snowden’s 2013 leak of classified US National Security Agency material, although pick-up has varied regionally with UK media producing nine times as much coverage as US outlets.